We really took a lot of amazing photos over winter – maybe thanks to our tips from Tommy, or maybe just natural talent – who knows? Anyway, I thought that it would be a shame to have them hidden away on our computer for no-one to see, so I decided that I would pick my favourite photos from the season and pop them onto this blog every now and then for the enjoyment of all (well, the whole 5 readers of our blog!!). This first one was taken when we were scouting locations for the Athleta Photo Shoot in July. Part of The Gap clothing company from the States, we had ten people join us for two weeks at the beginning of July to shoot part of their winter catalogue. They did some yoga and lifestyle shots at Whare Kea Lodge just outside of Wanaka. 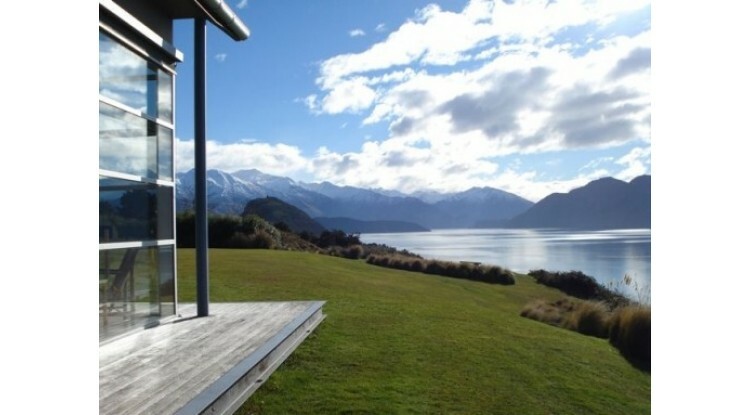 This is lodge is super luxury, situated right on the shores of Lake Wanaka...can you just imagine waking up to this view every morning? The lodge is absolutely stunning, and has its own private chalet up in the mountains as well – accessible only by helicopter. The crew spent a couple of days up at the chalet getting some great skiing shots in addition to the amazing photos that they caught at the lodge itself. You can check out their 'behind the scenes' video for some awesome content of their trip to New Zealand. 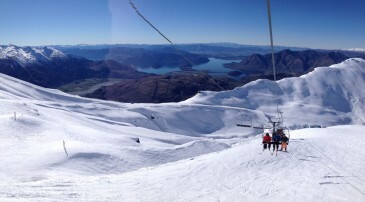 Whare Kea definitely a place I would book for a week if I ever won lotto!! Anyway, I think that this photo is magic, Lake Wanaka looks so serene - who wouldn’t want to perch on the bench in the distance for an hour with a glass of wine and just soak up the view?